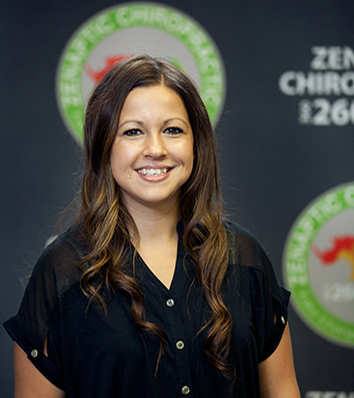 Kristin is one of the Vancouver, Wa Massage Therapists at Zenaptic Chiropractic. Kristin graduated from Everest in 2011 with honors. During school Kristin worked with the Portland Timbers and Portland Monarchs. She also worked with the Northwest Cancer Clinic, where she would massage the patients while they were receiving chemotherapy treatment. At the Everest student clinic, she would massage patients ranging from fibromyalgia to pregnancy and beyond. Kristin has a passion for helping heal the body as whole. She believes in natural healing with massage and chiropractic. Her favorite massage modalities include; sports, pregnancy, therapeutic, and holistic. Kristin received massage during natural labor, which helped her maintain calm, by easing pain and reducing the stresses of labor. 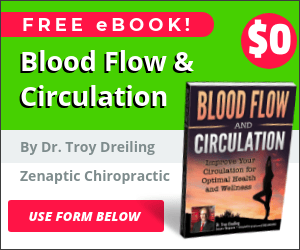 This method helped her develop a love for holistic and pregnancy massage. She also loves to do sports and treatment massage to help alleviate issues with chronic body pain, whip lash, frozen shoulder, and so on. Kristin has a desire and love for helping people. She wants her clients to feel at ease with her during their time. She enjoys educating her clients on natural pain remedies. For instance; clients leave with ideas for at home pain relief, stretches and ways to increase their energy levels. “Life is easier to live, when we live with less body pain,” says Kristin. Kristin was born and raised in Vancouver, Washington. She is a mommy to three little ones. Kristin loves the excitement her family brings to her daily life. You will most likely find Kristin going on an adventure with her family. They enjoy going on hikes, road trips and anything outdoors. Cooking is another one of her passions. And of course, Kristin’s co-workers always appreciate the days she brings in homemade goodies. Kristin brings a positive and bubbly attitude to work, along with a constant big welcoming smile. Six words that Lisa, Zenaptic’s office manager, would use to describe Kristin would be: anticipating, bold, creative, intriguing, tenacious, and vibrant. *Please note, Kristin is contracted with Regence BlueCross BlueShield of Oregon.